Why Is Spring a Good Time to Insulate Your Attic? After a long winter, spring is finally here. Spring is the perfect time for walks outside, picnics in the park and, of course, attic insulation. Yes, that’s right — spring is the perfect time to have your attic insulated. Did you know having good insulation can significantly reduce the amount of heating or cooling that is lost in your home? In fact, proper insulation can cut the cost of heating and cooling by more than 40%! So, why spring? This article is going to discuss a few reasons spring is a great time to get your attic insulated. Keep cool air inside: Summer will be here before you know it and it will soon be time to crank up the air conditioning. Because a poorly insulated home can allow cool air to escape, it’s important to consider insulating attic ceiling areas before the air conditioning gets turned on. If this isn’t done, you’ll risk allowing cool air to leave your home, which in turn will cause your energy bills to rise. So if you’re looking to avoid paying more money to keep your home comfortable this summer, now is the time to get attic insulation done. More convenient scheduling: Often, people wait until it’s already hot or cold outside to schedule attic insulation installation services. While this isn’t a good idea on their part, it’s good for homeowners who take proactive approaches to insulation and schedule for spring. Homeowners who choose to have their attic insulation installed in the spring will have an easier time scheduling their services and give themselves time to make necessary repairs before the hot weather arrives. Additionally, they may have more time to plan and ensure they choose the best insulation material for their home. Home remodeling: Spring is often the time of the year when homeowners decide to take on remodeling projects. Because of this, it’s more convenient and easier to be able to undergo insulating attic roof areas if the home is already under construction. 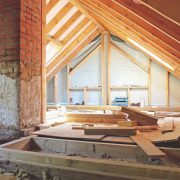 Even the smallest renovation in the attic or roofing area will make it much easier to install insulation. So if you’re planning renovations for your home this season, consider getting your attic insulation done at the same time. As you can see, there are plenty of great reasons to get your insulation done in the spring. While it’s a good idea to do it any time of the year, completing it in spring will allow you to enjoy the comfort of your home all year long. https://www.ductsquads.com/wp-content/uploads/2018/04/insulation.jpg 566 849 andwhat8371 https://ductsquads.com/wp-content/uploads/2015/07/White-Duct-Squads-09-150px-height2.png andwhat83712018-04-26 15:07:132018-04-26 15:07:13Why Is Spring a Good Time to Insulate Your Attic?